There’s little to fear in Weston. Toronto Police statistics show that fewer crimes were committed in Weston during the first six months of this year than in the first six months of 2009. Further, crimes have fallen more in Weston than in Toronto as a whole. 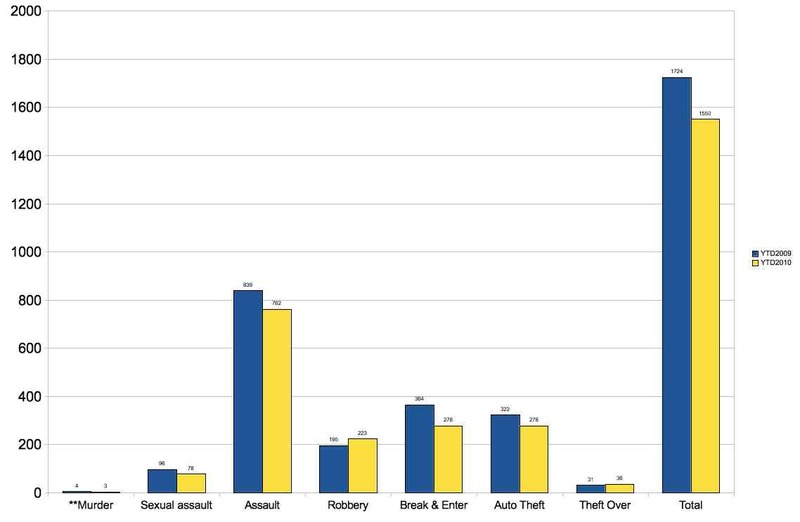 There have been fewer murders, sexual assaults, break and enters, and auto thefts so far this year. Thefts over $5000 and robberies are up, however. In Toronto as a whole, 6.7% fewer crimes were committed than by this time last year. The decline occurred across all categories, too. 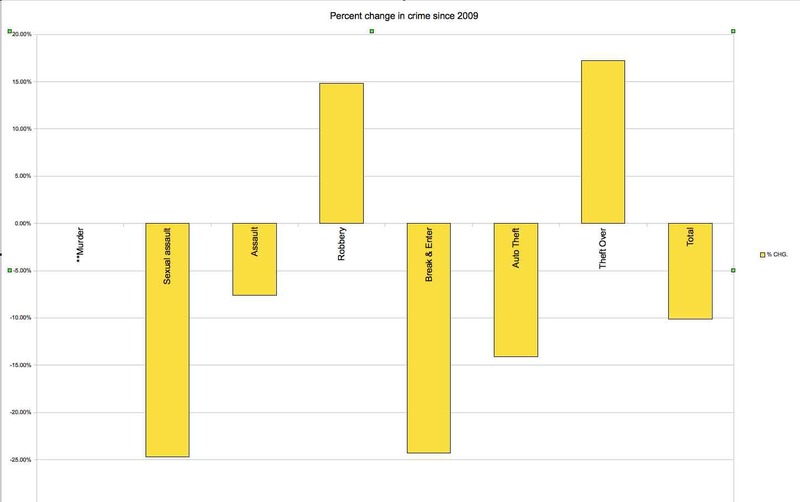 While some categories of crime in Weston increased, the total number of crimes declined 10%. Of course, summing the crimes so coarsely is a little disingenuous, since doing so does not take into account their seriousness—we would be willing to tolerate many more auto thefts than murders. The police statistics do not suggest the cause of the declines.